Genuine BMW M Performance engine upgrade to 250kw / 450 Nm. 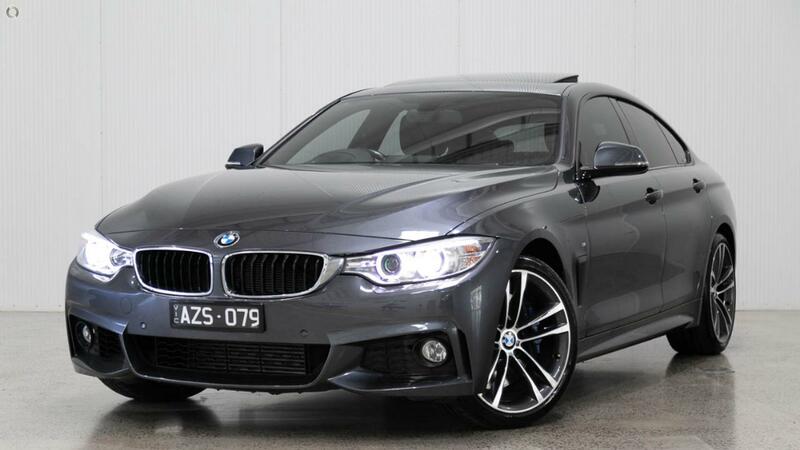 Highly optioned one owner BMW 435i M Sport Gran Coupe in Mineral Grey metallic with Black Leather interior. M Sport Brakes with 4 piston aluminium fixed-caliper and 2 piston rear caliper painted Blue with M badge. Please act now to secure this highly desirable and very attractively priced car.